Shwachman-Diamond syndrome (SDS) is a rare inherited disease mainly caused by mutations in the Shwachman-Bodian-Diamond Syndrome (SBDS) gene. However, it has recently been reported that other genes, including DnaJ heat shock protein family (Hsp40) member C21 (DNAJC21), elongation factor-like 1 (EFL1) and signal recognition particle 54 (SRP54) are also associated with an SDS-like phenotype. Interestingly, SBDS, DNAJC21, EFL1 and SRP54 are involved in ribosome biogenesis: SBDS, through direct interaction with EFL1, promotes the release of the eukaryotic initiation factor 6 (eIF6) during ribosome maturation, DNAJC21 stabilizes the 80S ribosome, and SRP54 facilitates protein trafficking. These findings strengthen the postulate that SDS is a ribosomopathy. SDS is a multiple-organ disease mainly characterized by bone marrow failure, bone malformations, pancreatic insufficiency and cognitive disorders. Almost 15–20% of patients with SDS present myelodysplastic syndrome with a high risk of acute myeloid leukemia (AML) transformation. Unfortunately, besides bone marrow transplantation, no gene-based therapy for SDS has yet been developed. This review aims to recapitulate the recent findings on the molecular mechanisms of SDS underlying bone marrow failure, hematopoiesis and AML development and to draw a realistic picture of current perspectives. 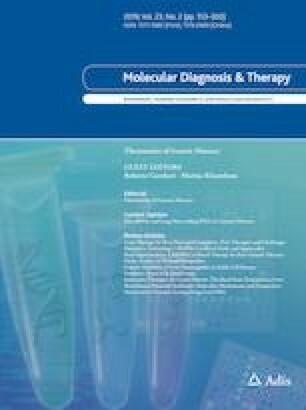 The authors are grateful to Enrico Valletta (unit of Pediatrics, Azienda USL della Romagna, Italy) for helpful discussions, to Emily Pintani (Italian Shwachman-Diamond Syndrome Registry) for the excellent data management and to the Italian SDS Registry for providing us with some of the patient genetic data. VB and MC are the inventors of the specific use of ataluren in SDS (patent provisional number 62/393,747 USA). This review was supported by the “Associazione Italiana Sindrome di Shwachman” (Grant #AISS-2017 to MC and VB) and the Italian Ministry of Health (Grant GR-2016-02363570 to VB).